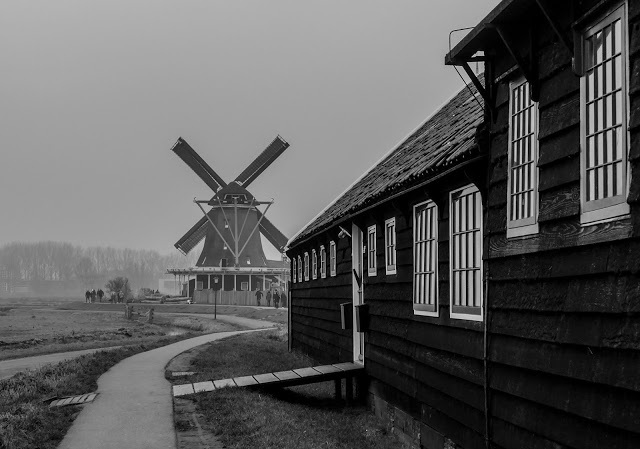 During our short visit to Amsterdam, we decided to visit Zaanse Schans because we didn’t want to leave the Netherlands without seeing their scenic windmills even if the weather was not entirely favourable during those days of January. We bought the round trip train tickets from the ticket machines inside the Amsterdam Centraal station and it cost € 7.20. As Zaanse Schans was located north of Amsterdam, getting there without a car involved a short train ride, approximately 30 minutes (2 trains) and a 15-minute walk. Trains were leaving frequently towards this famous tourist destination and the closest railway station where we got off was Zaandijk Zaanse Schans. From the station itself, getting until the bridge from where the seven windmills were seen, was completely wheelchair accessible. 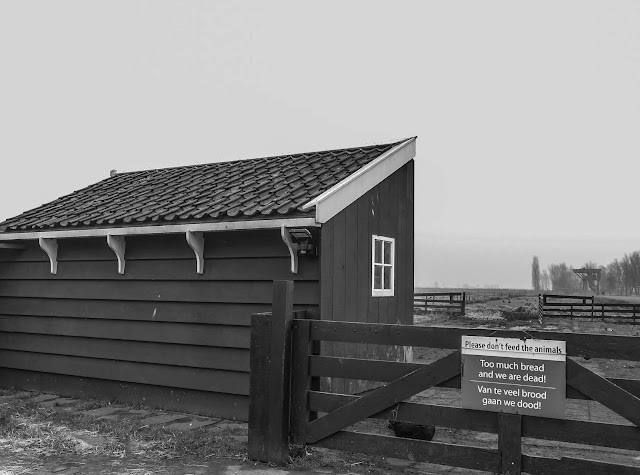 The Zaanse Schans was a kind of open-air museum where residential buildings and old houses were relocated and rearranged in bakeries, barns, museum, farm, workshops handcraft shops, and restaurants in order to recreate the typical village of the 19th century. What made this area so romantic and scenic were the seven windmills located here and there among the wooden houses. Personally, I loved the cheese factory where I could taste so many kinds of good cheese but all the shops around deserved certainly a visit: some were free but others had an entrance cost. Activities like cycling and sailing trips were available but sadly we didn’t have enough time for everything and especially because of the wind which was blowing very strong we decided to avoid all these activities. We stayed wondering around for more than 4 hours and we could have stayed even more if we had time. Sadly we had to return back to Amsterdam before 6 pm that day so we left Zaanse Schans in the early afternoon. It was worth visiting this lovely historic village because it was easy to reach and it was free. 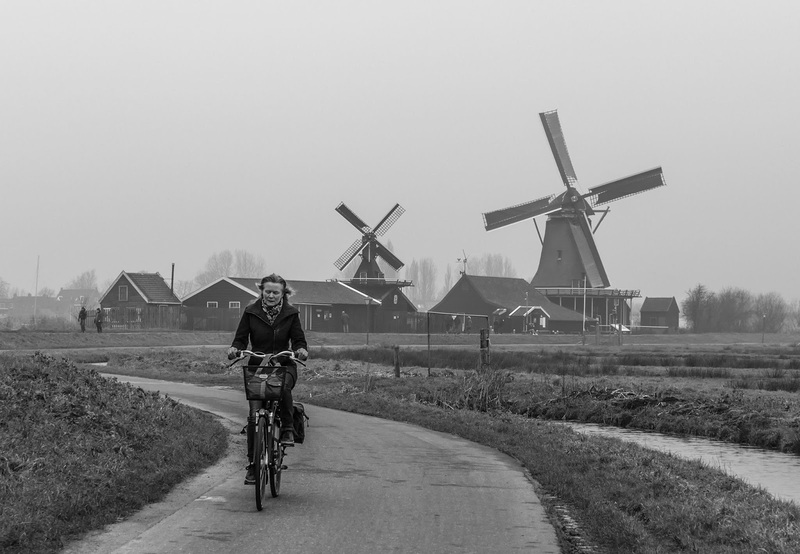 At the Zaanse Schans, there is so much more to discover than just the windmills. Don’t forget to take a stroll through the authentic village with its typical Dutch houses and enjoy all delicacies from the vending stalls! Related: If you are heading to the Netherlands, here for you one more awesome thing to do, specially dutìring the Tulip season: Keukenhof Gardens. This brought me back memories of Kinderdijk when I was in Amsterdam last year. I loved how the Dutchies cleverly dealt with the water issues. 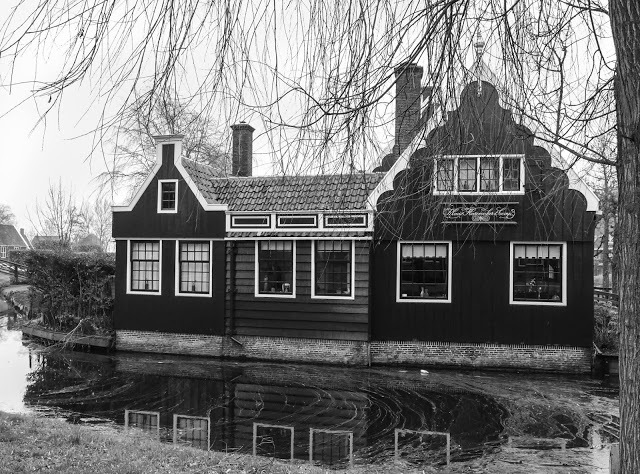 Next time I would plan a visit to Zaanse Schans as well. Loved your pictures. We visited Zaanse Schans last year. What a lovely place! 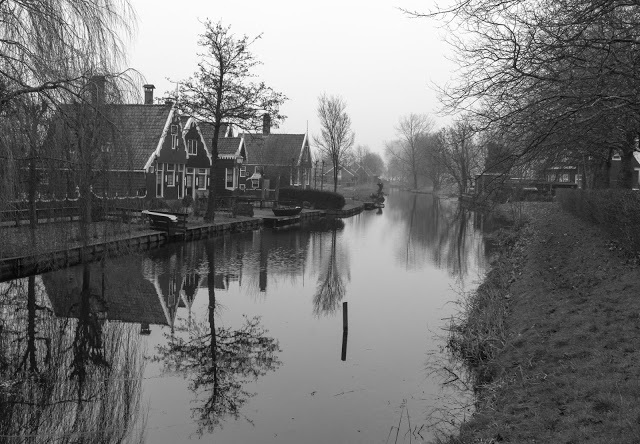 It is a nice way to see a condensed version of old-time Holland. Love your pictures!